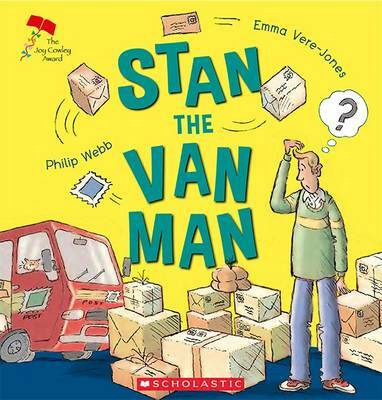 "A rhyming story in which Miss Mickle, the boss of the local Post Office, urgently needs a van driver to deliver all her overflowing mail, and helpful Stan comes in to the rescue. There's just one problem... Stan can't read. Trouble ensues as Stan attempts to deliver various parc... read full description below. 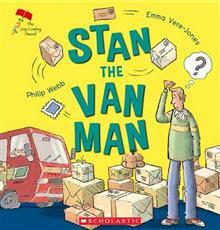 "A rhyming story in which Miss Mickle, the boss of the local Post Office, urgently needs a van driver to deliver all her overflowing mail, and helpful Stan comes in to the rescue. There's just one problem... Stan can't read. Trouble ensues as Stan attempts to deliver various parcels to their rightful owners, until the whole town howls in frustration"--Publisher information.